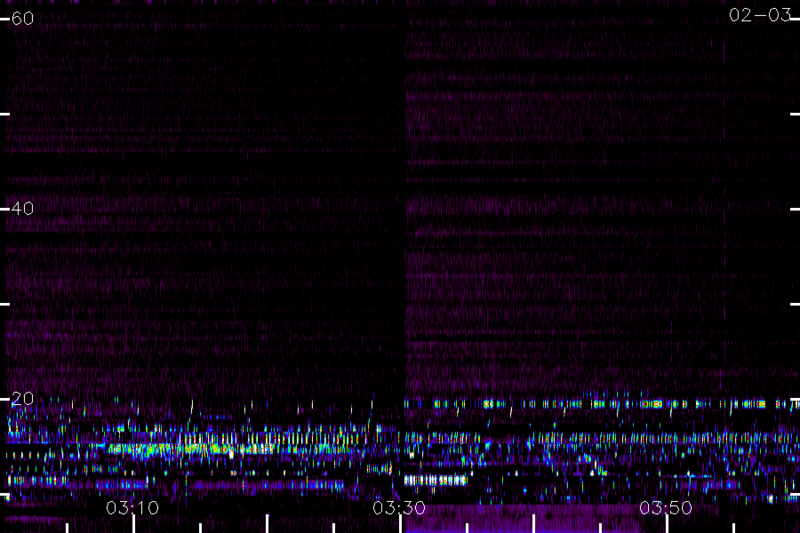 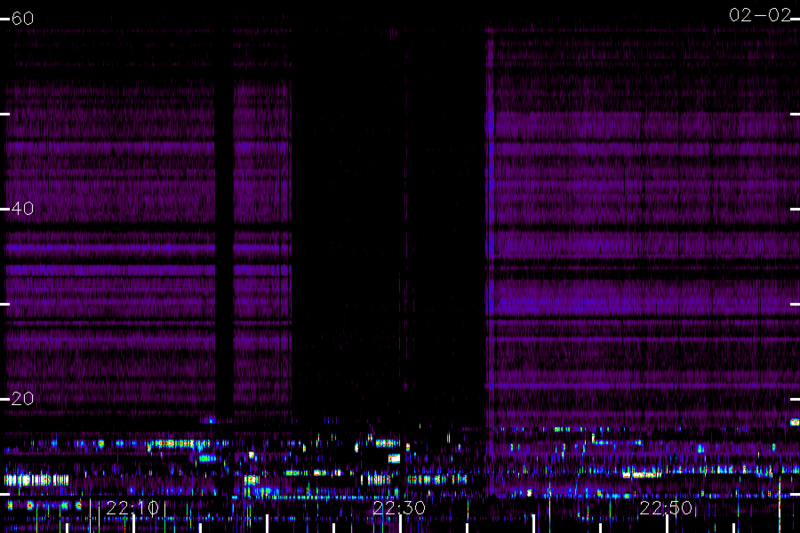 The frequency range is typically 6 (bottom) to 62 MHz (top of each panel). 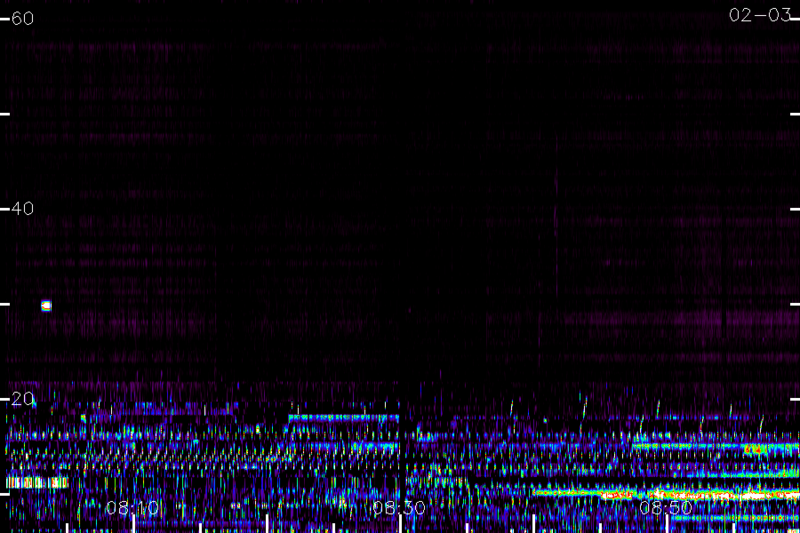 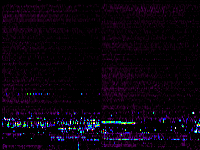 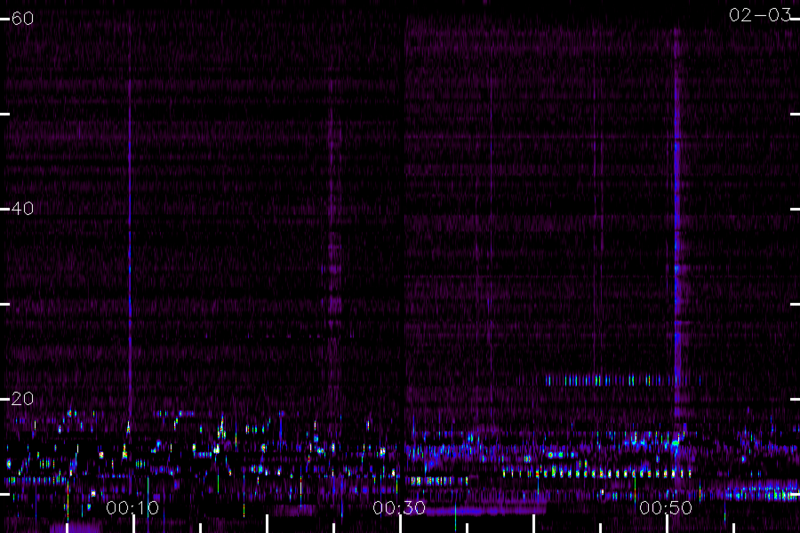 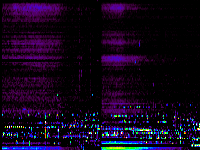 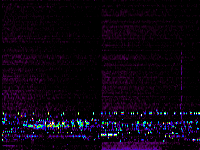 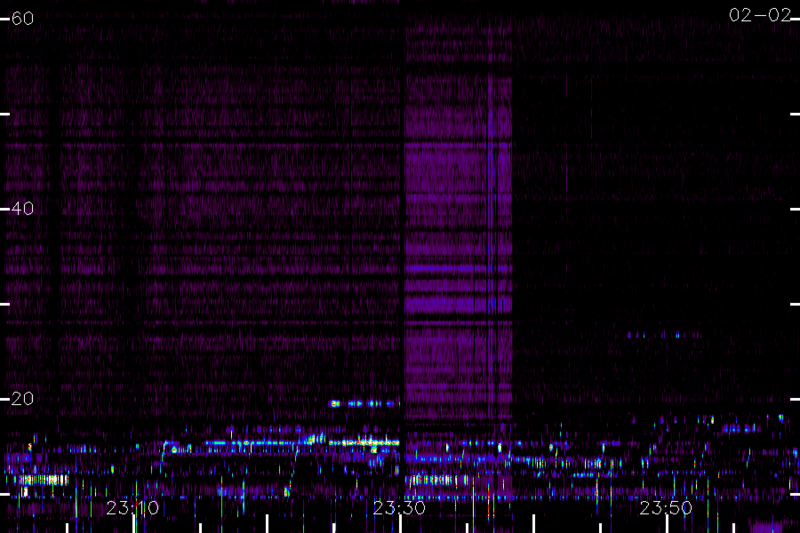 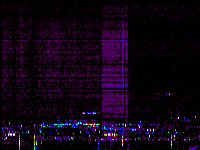 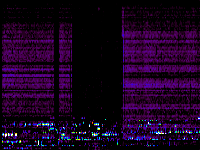 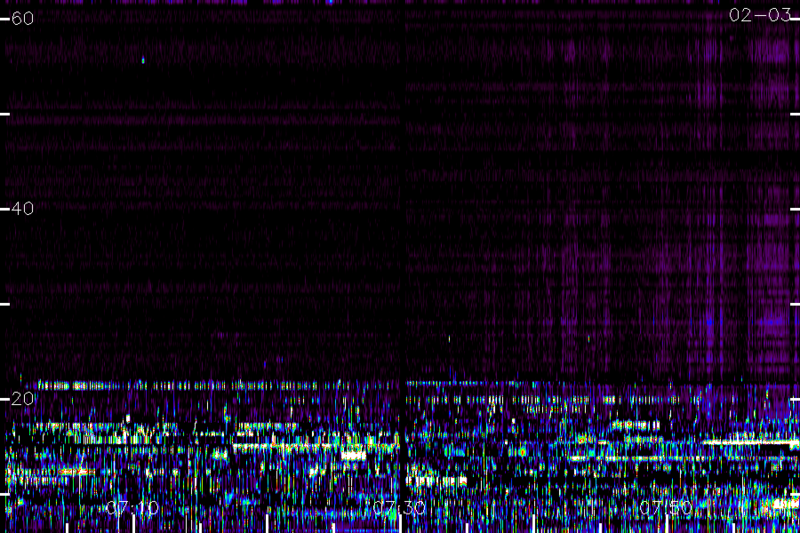 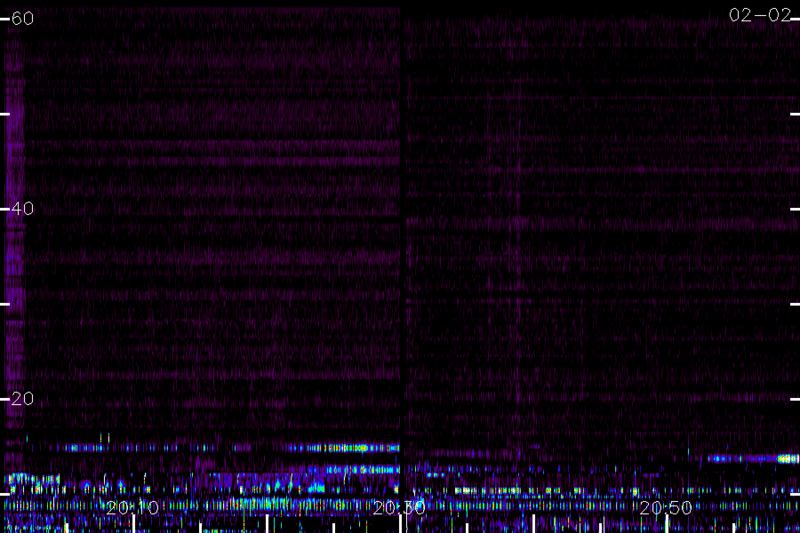 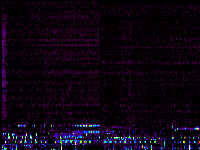 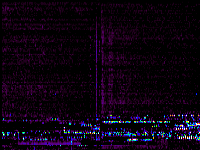 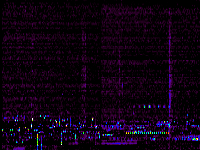 Every 30 minutes 128 interference-free 30-kHz wide channels are identified covering this range and then sampled at 3-second cadence. 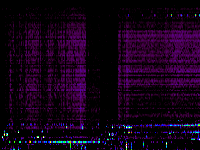 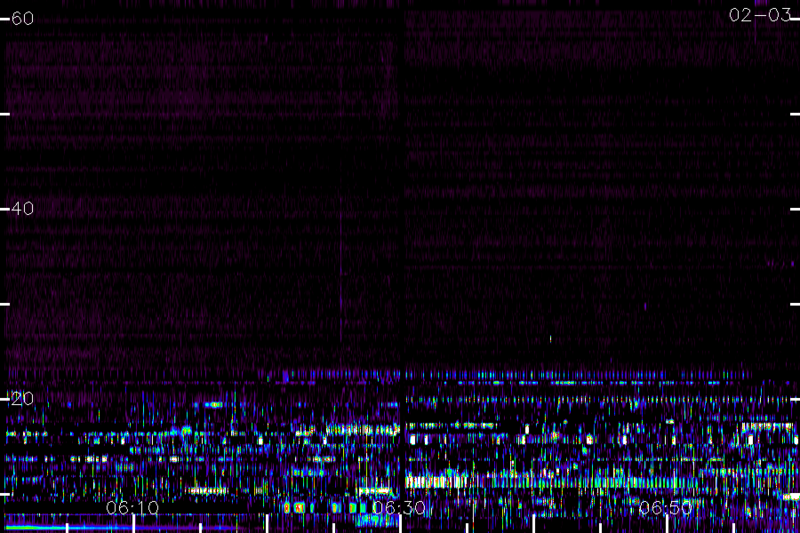 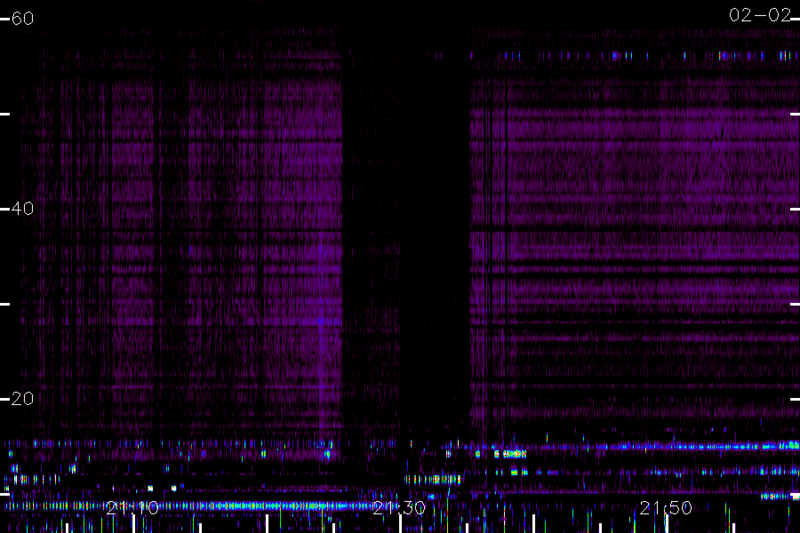 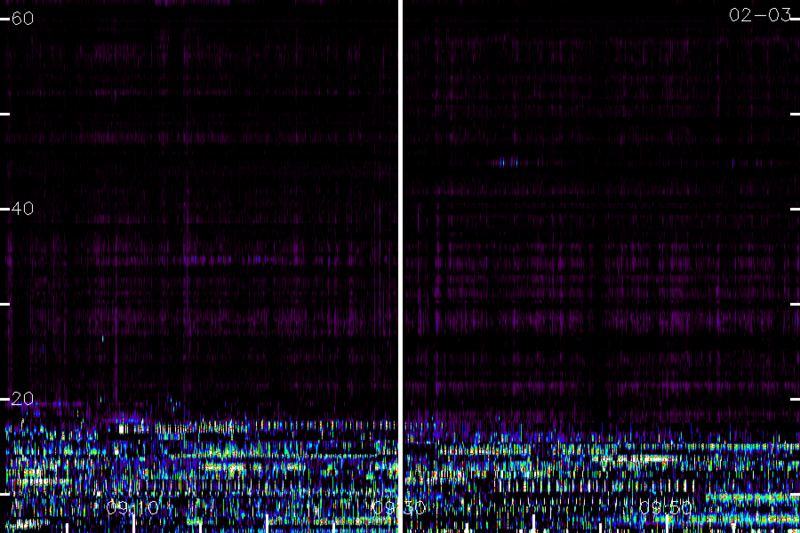 These data have had narrowband interference removed and background subtraction performed. 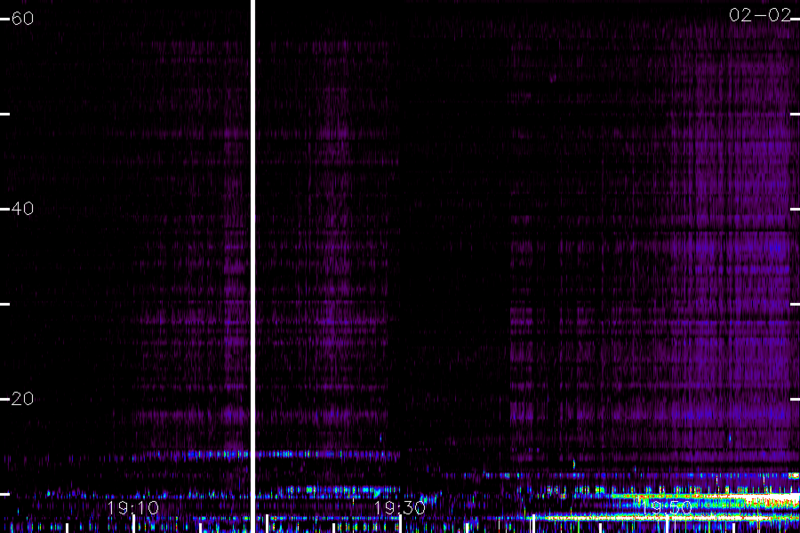 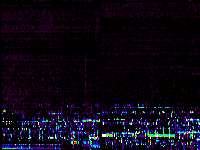 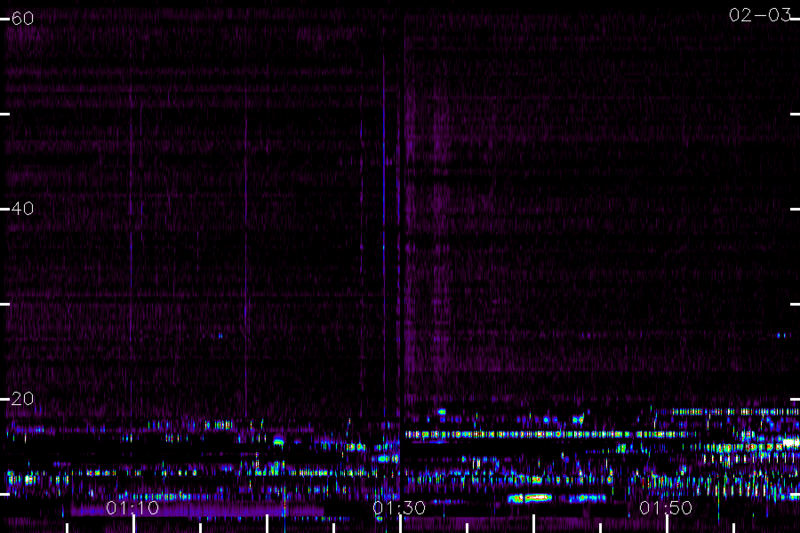 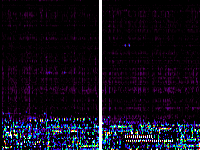 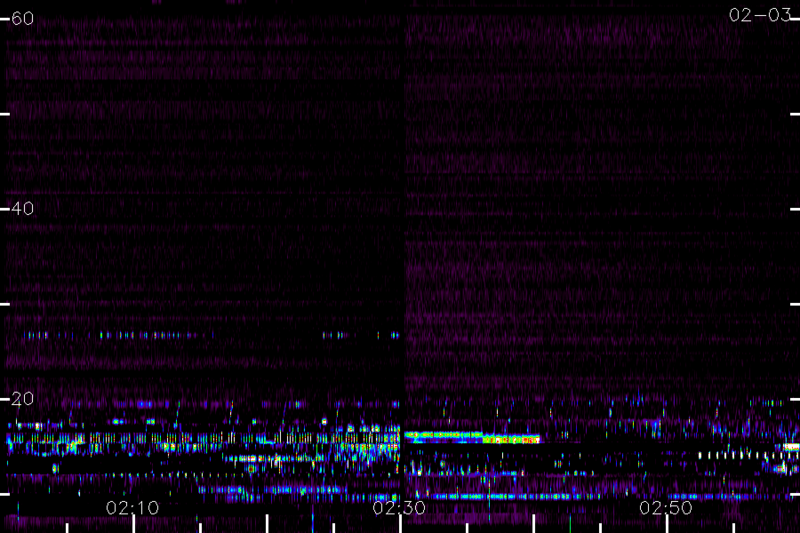 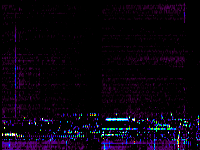 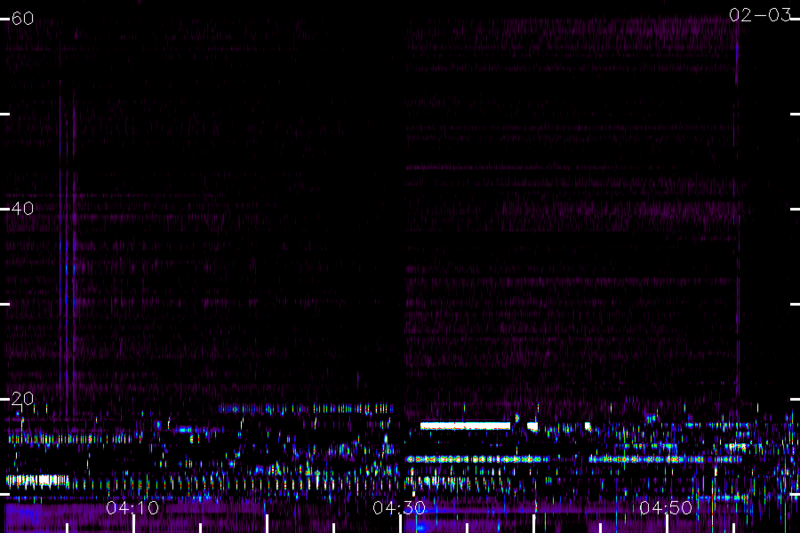 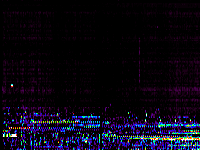 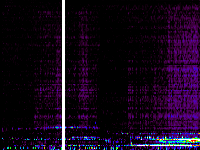 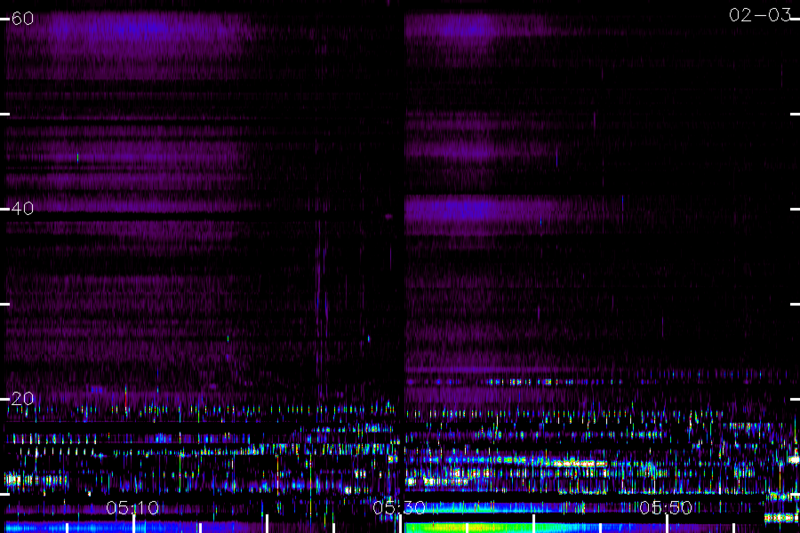 Residual artefacts are generally still present, particularly at low frequencies. 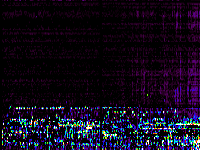 Click on a panel to see a larger image.